More than 2,000 Boogie Bounce fans will ‘boing’ for good causes on Sunday March 18 by taking part in the company’s first national ‘bounce-athon’. Boogie Bounce – the first ever bouncing to music exercise class - hopes its synchronised event at ten locations across the country will raise up to £10,000 for Sport Relief. The jump extravaganza will see huge classes of up to 100 bouncers taking to mini trampolines for the 2 x 1 hour long fundraising classes. 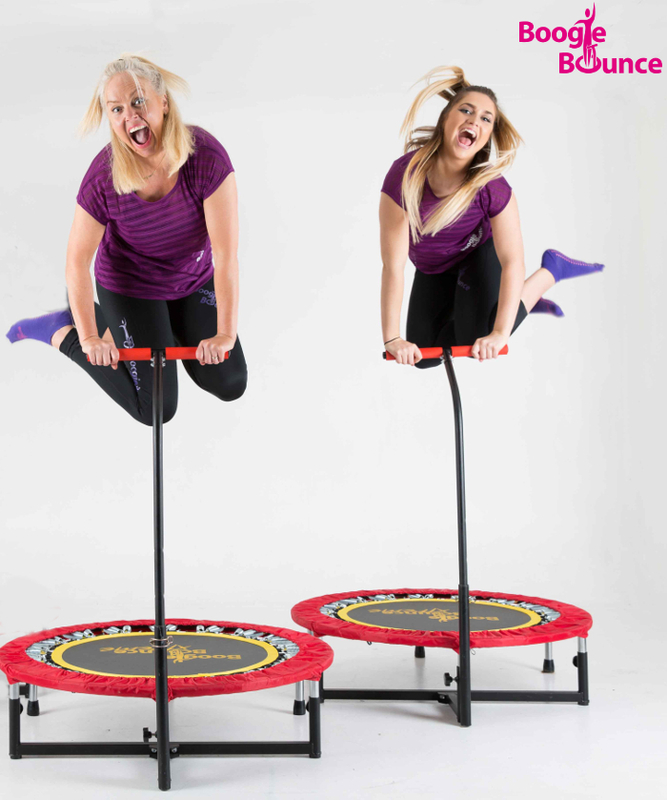 Jenny Belcher who founded Boogie Bounce 21 years ago said: “We’re hoping to involve both our regular bouncers but also inspire brand new beginners who have yet to discover the joys and health benefits of Boogie Bounce to give it a go. “Raising money for charity has always been important to me - and it’s something we’ve done from our earliest days,” says Jenny, 53, of Sutton Coldfield, West Midlands. “One of my favourite photos is from a sponsored bounce back in 2004 when my nine-year-old stepdaughter, Emily, handed over a cheque for £3,500 to St Giles Hospice Care. She is now a successful instructor herself, ‘the face’ of Boogie Bounce in our videos and marketing photos, and is running one of these sessions on the day! How’s that for coming full circle? “Over the years we’ve raised tens of thousands of pounds for both local and national charities. But this is our biggest, most ambitious, event ever. “When I suggested an event for Sport Relief our instructors jumped at the chance – and I’m thrilled that we’ve had such a great response. Sports Relief is a national initiative organised by Comic Relief encouraging supporters to get active and raise money for charities both across the UK and abroad. Each of the ten venues will hold two classes from 10am to 11am, then 11am to 12pm. Fife will also be holding an extra class from 12pm to 1pm. Boogie Bounce is an exclusive low-impact exercise programme offering cardiovascular, toning, fat burning and strengthening benefits. NASA agrees that ‘bouncing is the most efficient and effective exercise yet devised by man’ – while studies by NASA scientists have shown that bouncing is 68 per cent more effective than jogging but requires less effort. * For more information regarding media usage, ownership and rights please contact Boogie Bounce Ltd.